Note: This post was of the first one I did, but see the updated one, here. that the price tag attached to any store-bought wreath brought on a slight anxiety attack with an intense urge to puke. Thankfully I discovered a better alternative. It’s personal, simple to put together, and will only set you back about $15. Bonus points for the fact that you can knock it out an an afternoon. You may even have some of the materials on-hand. Not bad, eh?! I am lovin’ it! It’s perfect for those who dub themselves as non-crafters because it is seriously the most minimal-effort yet personal craft I’ve ever done, and it is totally non-intimidating! a wood letter representing the initial of your last name (or another person’s last name, if you’d like to confuse your mailman). Note: I painted my initial white, but you can leave it the natural wood color or paint it any color you like. I cannot for the life of me remember where I got that moss butterfly. I opened up an old storage bin and found that guy and another one, a bigger version, and to any crafters out there following this blog, you surely understand how the moment was like Christmas at Martha effing Stewart’s house. How did I forget about these guys?! I don’t know. Since I can’t recall where I got mine, I did a little search for you in case you wanted something similar (and to be honest, I like these better!). Step 1: Assess what items from the list above that you already have and set them aside. Might there be a chance you save old gift-wrap items where a Spring-like ribbon could be lurking? Do you have a craft closet or box you could raid? See what you have on-hand to keep the cost down. That little fake bird that you put away because it looked lost on your mantle might be the perfect size for a wreath like this. 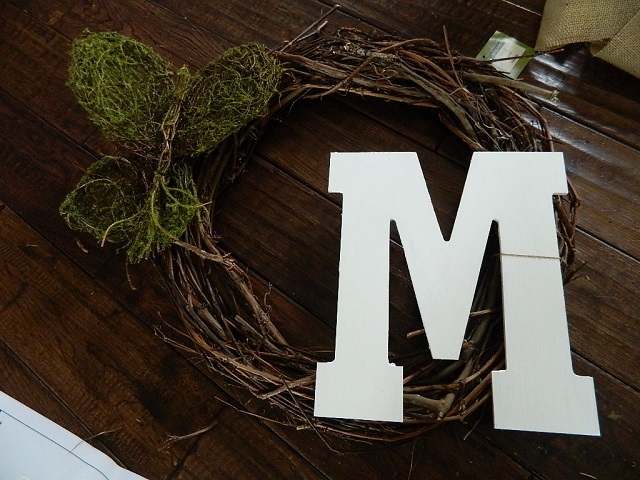 Step 2: Head to your nearest Michael’s to pick up the plain branch-y wreath for $4.99, the wood letter, and any of the other items you still need (ribbon, flowers, accent piece). Step 3: Lay out the items and start playing around with what you like. I positioned the initial off toward the lower-right, but you can place it wherever you prefer. Some even hang it dead-center. If you want to paint the initial, now would be the time. 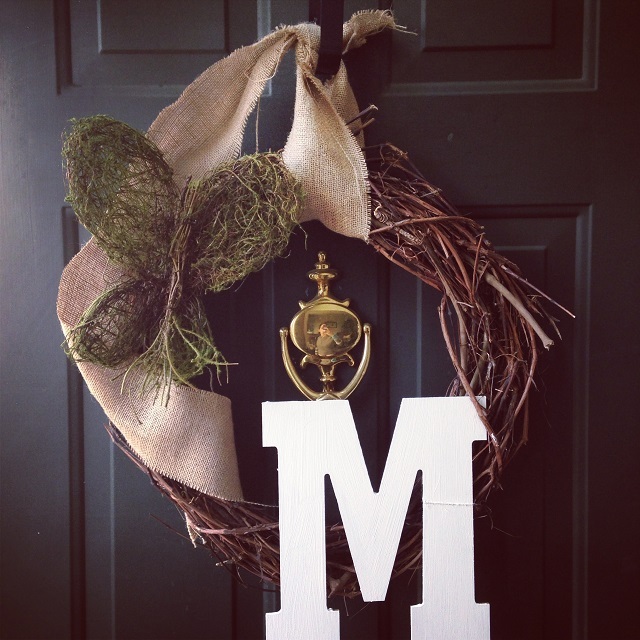 Step 4: Once you have the items placed where you want them, affix them to the wreath. 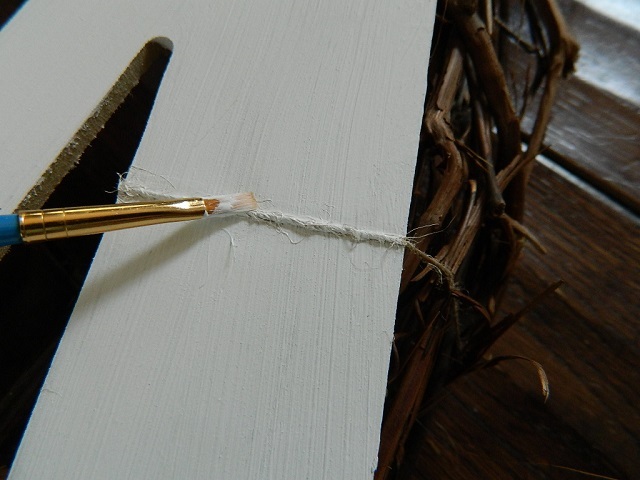 I used a thin piece of twine to secure the letter. If you have flowers, you may be able to just tuck them right into the branches of the wreath without having to secure them with anything. It’s that simple. Step 5: Put your wreath through the ribbon and determine the length you want it to hang. 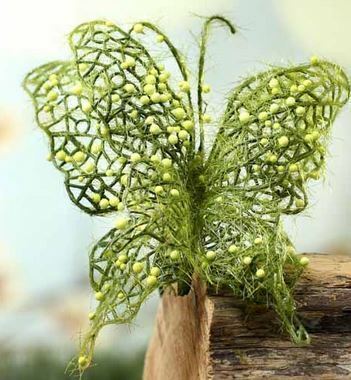 At first I was planning on cutting the remainder of the burlap ribbon, and at the last second I draped it around the butterfly and down the left side of the wreath, as shown. Unintentional, but I love it! And that’s it! I may need to repaint the letter to take the color down a notch because it is really REALLY bright white, but I have to see it from the road. It’s pouring out today, so I’ll check it out tomorrow and fix if needed. If you want a bit more inspiration, follow my “for the home” board on Pinterest here, where you’ll find even more ideas.